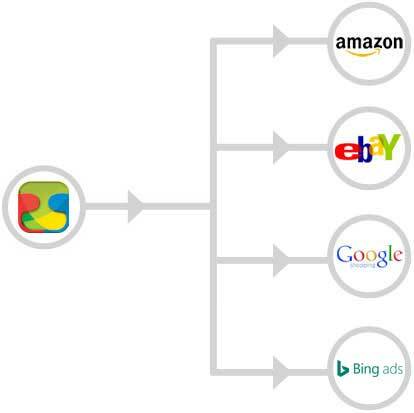 You can automatically manage Google Shopping from TrueGether in just few simple steps. 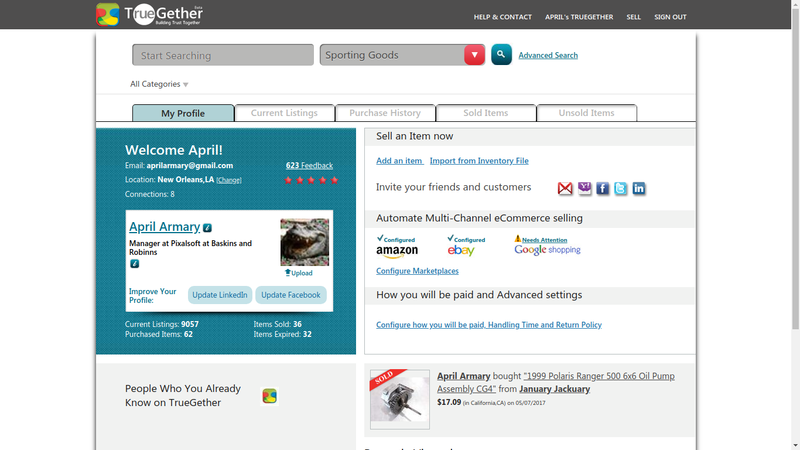 Login to TrueGether, You will see your “My Profile page”. Click on “Configure how you will be paid, Handling Time and Return Policy“ link under “How you will be paid and Advanced settings” section. 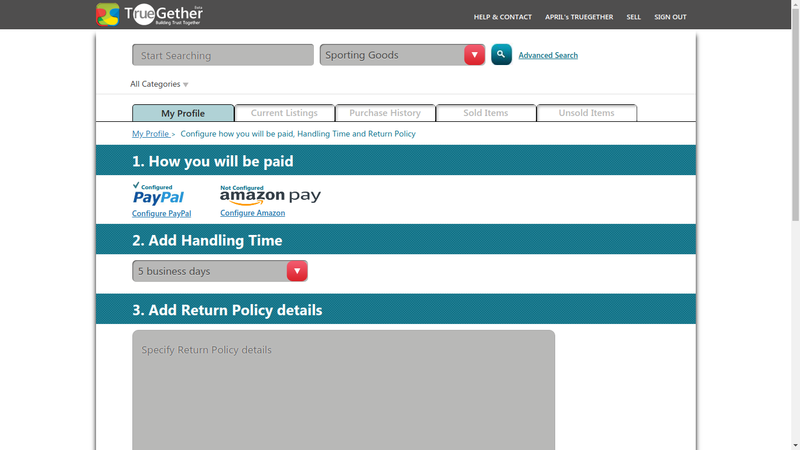 Clicking on the link will take you to “Configure how you will be paid, Handling Time and Return Policy” page. 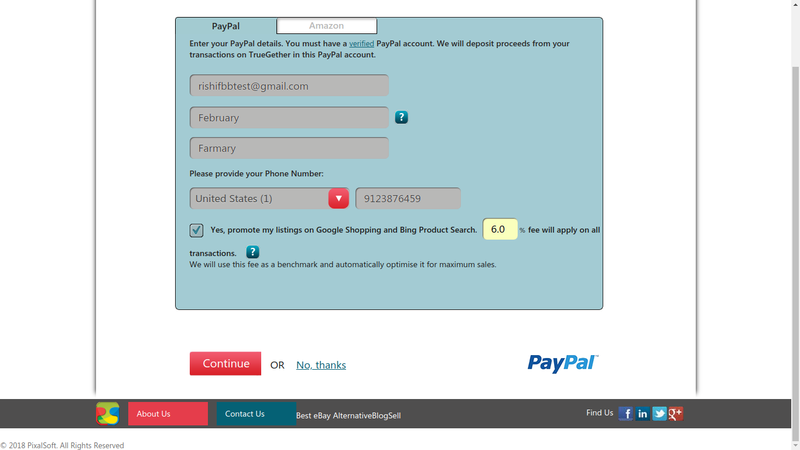 Click on “Configure PayPal” link. Select checkbox "Yes, promote my listings on Google Shopping and Bing Product Search." Fill the "transaction fee" in the box. TrueGether will use this fee as a benchmark and automatically optimise it for maximum sales. Now you have configured "Google Shopping". as managed marketplace and your listings will be promoted on Google Shopping.